A worker saws pipes in the pump station of the Ottawa River Storage Facility, the largest project of the Toledo Waterways Initiative in Toledo, Ohio, which was featured in the February issue. Once the entire initiative is complete in 2020, overflows into Toledo waterways will have been reduced by about 650 million gallons annually. Over the course of a year and 12 issues of Municipal Sewer & Water magazine, a lot of words are dedicated to the work that utilities take on to serve their communities. Of course, to best illustrate that work, it’s important that good photos accompany the stories. Here are some of the top photos of the past year. 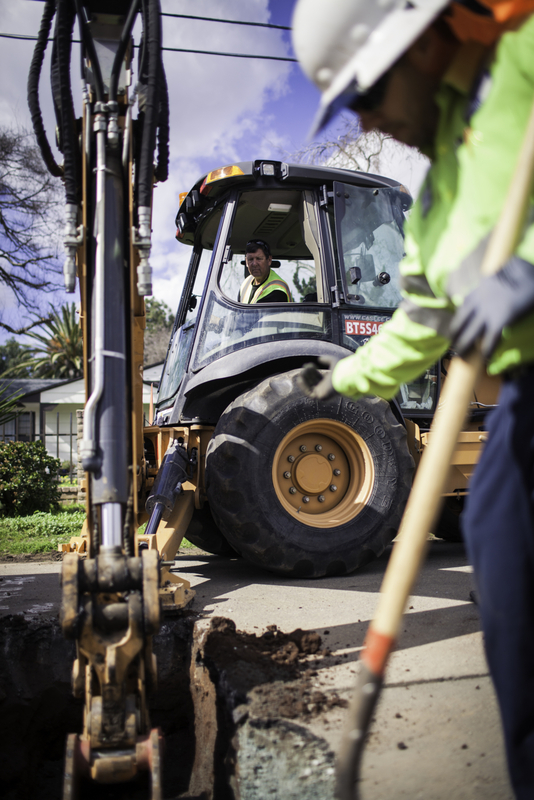 A crew from Sweetwater Authority, a water district based in the San Diego area featured in the May issue, works to uncover a customer’s lateral for replacement. In the 1970s, the authority inherited a system in disrepair that had 200 leaks a year. Today, leaks are down to 10 or fewer a year for the system’s 388 miles of pipeline. 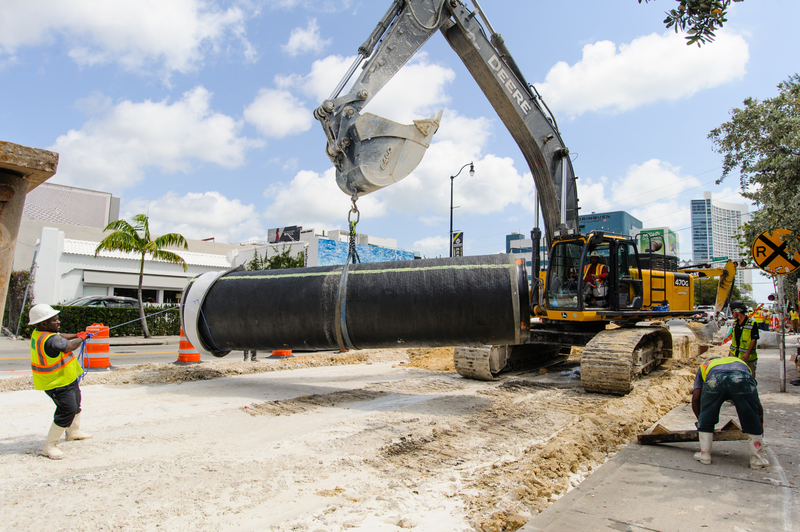 A Miami-Dade Water and Sewer Department crew, featured in the June issue, transports a piece of pipe for installation. Miami-Dade is the largest water and wastewater utility in the southeastern United States, serving 2.3 million people, plus thousands of daily visitors, and covering 400 square miles. 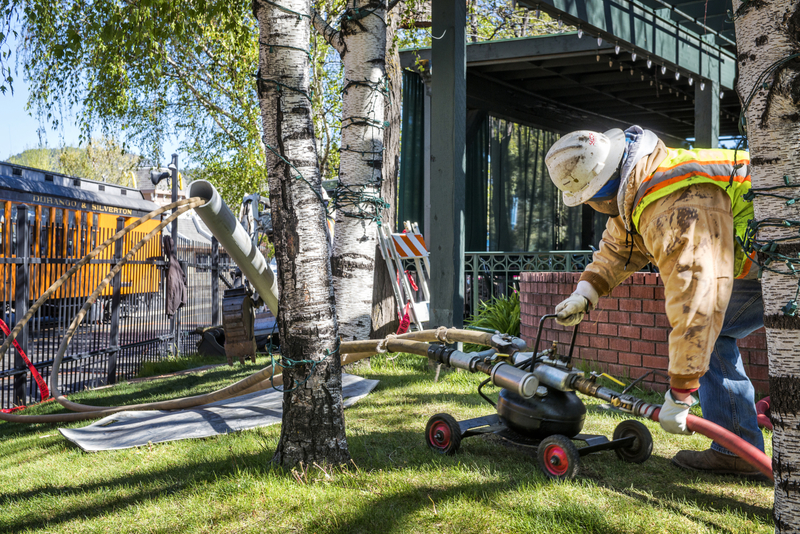 Eduadro Santiestebon, from contractor AUI Inc., works on a pipe bursting job for the city of Durango, Colorado, which was featured in the August issue. The minimal surface disruption that pipe bursting allows for was key on this particular project — replacing 8-inch pipe running under the railroad tracks of the Durango & Silverton, one of the most popular tourist railroads in the country. Open-trench work would have required tearing up the tracks completely, shutting down train trips for days. Instead, operations for the railroad were unaffected by the underground work. 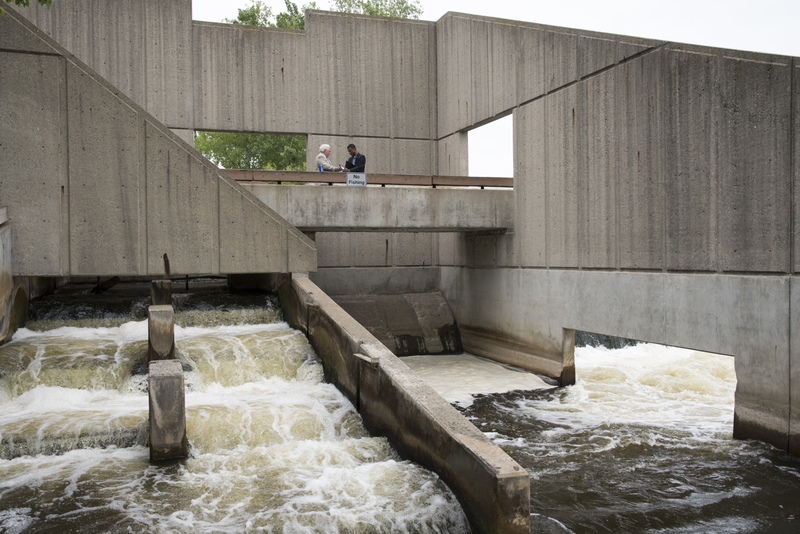 Michael Lunn and Tom Almonte, of the city of Grand Rapids, Michigan, featured in the September issue, discuss a project at the Grand River Dam. The city recently completed an extensive sewer separation project to combat CSOs, finishing ahead of the 2019 deadline originally given for the project. 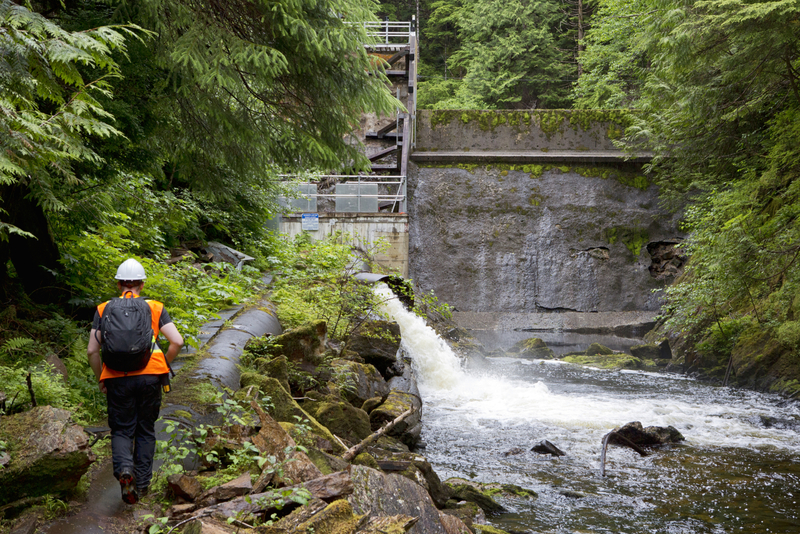 Hans Seidemann, manager of community development and civic innovation for the city of Prince Rupert, British Columbia, featured in the October issue, approaches the 100-year-old Woodworth Dam in an isolated forest preserve on Kaien Island. The city has secured grant funds to replace the dam, which holds back Woodworth Lake, the city’s primary water source. Christian Nellett and Angelo Cosentino of the North Penn Water Authority, which was featured in the November issue, clear dirt from a pit while installing a 3/4-inch sample service connection. 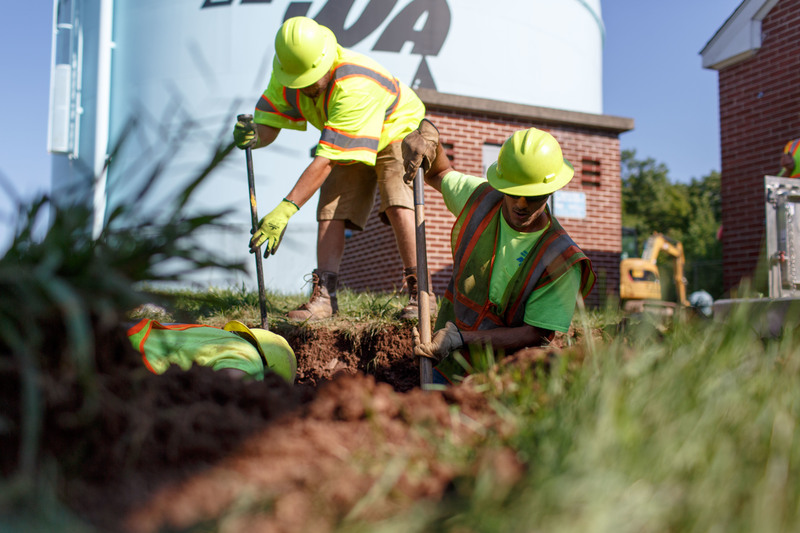 Established in 1965 to meet the water needs of 7,000 customers in seven suburban Philadelphia communities, the authority now serves 34,000 customers across 21 different municipalities. 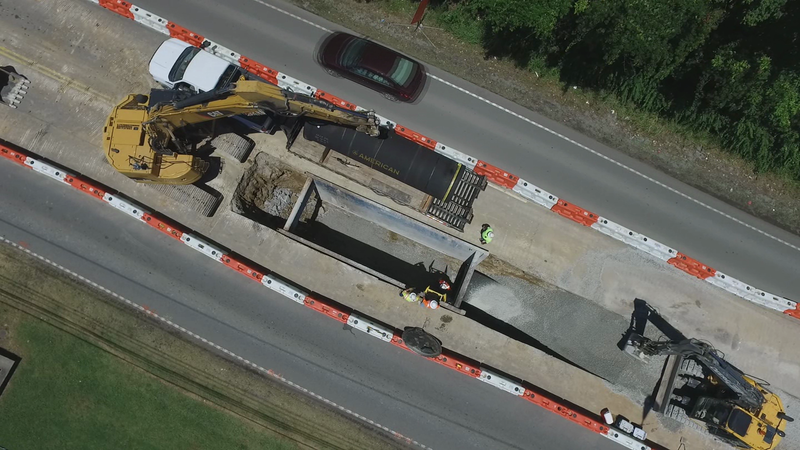 An aerial shot from a drone shows a project in Nashville, Tennessee, that included installing 5 miles of large-diameter transmission main under two state highways on a tight timeline. The project was featured in the December issue. Root Removal: What's the Best Machine for the Job?